Got to get those Orcs running smoothly. Total War games are often plagued by performance issues at launch, but The Creative Assembly has, it says, gone to great lengths to optimise the new Warhammer edition of its strategy series. In a blog post on the official Total War wiki it outlines the steps it's taken to improve the game's performance on PC, and claim it's "dedicated more time to engine optimisation than any other Total War game." "Total War has traditionally been quite CPU-bound, with the game-draw and graphics render processes botrh running on the same CPU thread," reads the post. "But over time, as the engine has evolved and become more demanding, this has become a bottleneck for us." The solution, they say, is separating these processes so they run independently on their own threads. Other improvements include DirectX 12 support, which will arrive in a patch shortly after launch, and switching to a 64-bit client. You can read all the technical details on the blog. 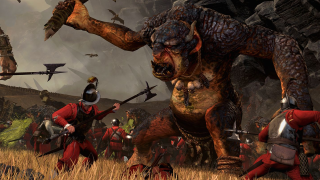 Total War: Warhammer will be released next Tuesday, but in the meantime you can read our review.